Hi all, how’s your weekend? I am working on my thesis :| I’ve to find sources and reference books. Btw, thank you very much to http://starvogue84.blogspot.com/ . 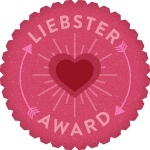 She awarded me in "Get To Know Me & Liebster Award"
1. My name is Annisa Mulia. Annisa means “Woman” in Arabic, and Mulia means “Great”. 3. I love my family and friends so much. 5. A big fan of 2 Korean groups; SHINee and Super Junior. 9. Have a big passion to travel around the world. 11. In love with princesses and fairy tale stuff. 1. How long have you blogging for? I’ve been blogging since last year at this http://randomnisa.wordpress.com/ . That is my writing blog. Then I decide to create another to post my outfit here. 2. Where would you like to see your blog in the near future? I would like to be the blog that girls immediately remember when they want to find inspiration for fashion and photography pose. Writing, reading, listening music, socializing, Mixing & matching outfit. 1. Where is the most fashionable city located? 2. According to number 1, why? They are fantastic and unpredictable. I always want to be part of them who are very stylish at street. 3. What country/s that you are very passionate to visit? 4. What are your biggest dreams? 6. What fashion item/s do you want to have right now, but you feel like having no enough money? Pink glitter pump shoes, Yellow high heels, high heel sneakers, and a green bag. 7. How long you take to finish you dressing time? About an hour for total dressing, but I need only about 15 minutes for casual look. 8. What do you do while dressing? 9. Who are your favorite designers? My mom, my grandma, and my aunts. 10. Which Disney characters inspire you? Great answers! your welcome and congrats! Seriously? You live in Acheh? Oh my god, you tahu tak I really wanted to be there one day sampai I decided I akan pergi honeymoon di sana nnt! And you know what, the most precious thing about Indonesia is their beautiful language. Pernah I cakap bahasa Indonesia yang sangat cantik and poetic? Even Malaysian also will use some Indonesia's words untuk menggambarkan and mencantikkan sesuatu dalam puisi/sajak etc etc. I wanted to know you better and I'll be happy if you feel the same way too. After answering, make your own question, 5 persons you tag will answer. All of those things are in one post.